A recent warning on the Facecrooks page warned Facebook users not to fall for a scam that purports to let you know how many people have “stalked” your page in the past day. Despite my attempts at letting people know (even by posting directly to their profiles when they fall for this) that this is a scam, many people still think that there’s an application out there that will give you statistics on who’s looked at your profile in the last 24 hours. If you have 53 friends on Facebook and have your privacy settings turned sky high so that no one can find you even if they wanted to, then it’s highly unlikely that 291 people checked out your profile. Right? According to Facecrooks’ posting printed verbatim here: “There are several different Profile Viewer / Stalker scams active on Facebook at the moment. A very popular one is shown below. Any application you encounter like this is sure to be a scam – ALWAYS! Facebook doesn’t allow developers access to the necessary data to create these apps. Please like and share the alert to remind your friends of this fact.” The specific scam referred to in the warning is ‘Wow I cant Believe I Got My PROFILE & PHOTOS Stalkers’. (Spelling error and inconsistent use of capitalization left in for authenticity.) There are a number of other variations – all of them fake. Last Sunday, it seemed like the issue of debit card skimming in Moncton spread like wildfire all over social media, especially on Facebook, but also on Twitter. 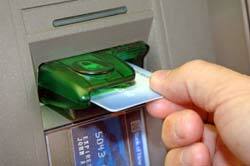 On the Newschaser group and elsewhere, people were posting stories of having their bank accounts emptied of cash by swindlers who’d compromised their cards after altering machines in and around Moncton. On Sunday, especially, many people wrote that they’d received a call from their bank or credit union that day telling them that their account had been compromised and to change their password immediately. I never knew the issue was so rampant! Once you mention it online, there are many others who’ll chime in with their own horror stories. It’s more common than we think and there certainly seems to have been a rash of incidents lately! If you are paying at an establishment that does not yet use chip technology, you may want to consider using cash or going elsewhere. Machines that use chip technology seem to be safer, so far. It’s only a matter of time that establishments not using the safer technology start to see their bottom lines affected by consumers wary of using unsecure terminals. This is scary stuff, folks! It’s incumbent upon everyone to be as safe as possible – and it seems like the time may be coming when people will be afraid (and perhaps even refuse) to do pay with credit or debit unless a chip-enabled terminal is available. People don’t carry around a lot of cash anymore. To not be as secure as possible is to turn away business. That message is spreading fast and furious online. Don’t think it isn’t. Each week, I suggest three YouTube channels for you to check out. Statistics are current to March 27. Have a favourite channel? Let me know about it and I may feature it here! 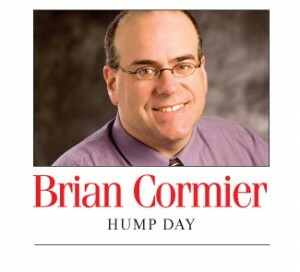 Ya know, I’ve been writing Hump Day, otherwise known as the Seinfeld column (a column about nothing), since December 2005. Since then, I’ve written more than 300 columns about humour, family, pets, holidays, health and a bunch of other things. Unfortunately, during weeks when nothing happens, it becomes really difficult for me to write a column about nothing. Sure, I could write about my pets, but I do that enough. And I’ll let you in on a little secret: whenever I write about my pets, it means I was sitting at my computer sobbing and shaking my fist at the heavens because I’ve run out of ideas. A column about cats means that it was a particularly uneventful week. I think I’m repeating myself. Regardless, newspaper deadlines being what they are, there’s someone in the newsroom tapping their fingers nervously on a desk waiting for my Nobel Prize-never-winning column to arrive. I have it on good authority that my column has been used to clean some of the dirtiest windows and line the cages of some of the most cantankerous budgies this side of Acadie Siding. Relatives and close friends should be particularly terrified when I have nothing to write about because I either have to pray for one of them to meet an untimely demise (Woo hoo! Column material!) or I need to dig deep into my past and remember some unimaginable tragedy that happened in my childhood – like my brother grabbing the last corn on the cob during a summer get-together in 1975. He’s lucky I couldn’t catch him because he would have been the newest star of the next round of War Amps commercials. And if someone doesn’t die, well then they’d have to get sick. Oh, I don’t mean really sick – just a little bit sick, perhaps enough to be admitted to the hospital for a day or two. I would go visit, and then I’d see some horribly sad or funny event unfold. Again, column material! Heck, just hang out in the emergency room for a few hours and leave. Taking up a hobby is also fodder for a column. I knitted a bunch of scarves since I bought myself some looms last summer. I gave them away to people whether they wanted them or not. It got to the point where I’d just ring a random doorbell and stuff the scarf in the homeowner’s mouth as soon as they said “Yes?” Then I’d run back to the car before they knew what happened to them. I think they call it “scarf bombing.” I stopped scarf bombing when one got caught on my sleeve as I was running away and I ended up back in my car with the scarf and a set of someone’s dentures attached to it. Actually, I found out later that the person didn’t wear dentures, so that would explain all the screaming, and the paramedics. Then my lip would start trembling and I’d burst into tears and then finally become the Olympic dominoes athlete I’ve always dreamed of being because of my huge psychological breakthrough. Then I’d roll naked in the yarn and be back at square one. Hmmm, Something tells me that no one will want any more of my scarves after that. Maybe my love of kitchen gadgets? No, I’ve written enough about $100 gold-plated pickle peelers that were going to change my life. Dead relatives telling me to walk toward the light? No, I think I’ve used that joke 1,204 times already. How about the changing seasons? Have I written about that before? Oh, 1,205 times, eh? Well, I guess that’s not going to make the cut. Christmas? (Sound effect: gun shots, rioting crowds, angry dogs wanting to tear out my aorta.) OK, fine. I can certainly take a hint. I can’t write about politics. The last time I did that, my taxes got audited back to when my ancestors walked out of the ocean using rudimentary feet that used to be fins. Oh, I know, religion! Oh wait, not a good idea. I literally saw angels giving directions to the tax auditors on where to find the fake receipts I used to claim the entire population of Papua New Guinea as dependents. Gotta admit it, though, that was some amazing tax refund cheque that year. Concerts I’ve seen? Nah, I’ve already mentioned those a million times. No, a billion. Maybe even a trillion. How about a tale of a lesson learned from some innocuous thing that happened during the week? Like when I found a dust bunny under the sofa and had a spiritual experience by thinking it was a metaphor for something that I don’t even have the energy to make up. See, this is what happens when I’m void of ideas. Silliness. Idiocy. Exaggeration. Desperation. And end scene! Thank goodness! 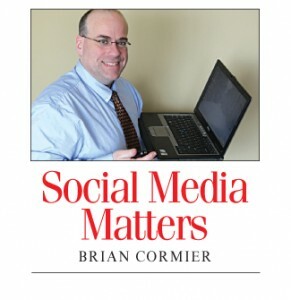 Social Media Matters: Would you give up Facebook password or give up your job? Would you give up Facebook password or give up your job? This isn’t the first time I’ve written about this troubling trend. The first time was a U.S. incident. Now, there are reports of some Canadian employers asking job applicants to hand over their Facebook passwords so that they can get checked out before being hired. The Hamilton Spectator published an article from The Toronto Star on March 20 describing how Oakville resident Rob MacLeod was a finalist for a policing position in 2009 only to be asked to hand over his Facebook password. He didn’t want to, obviously, and even offered to log in and leave the room while recruiters scanned his account. But the interviewer held firm to his demand and MacLeod eventually gave in and handed it over. “I was surprised. I was shocked they would ask that,” MacLeod said in the article. ‘I felt like I was being pressured into doing it. It felt like if I didn’t do it, he would call the recruiter and say, “This guy’s not interested in the job.” The states of Maryland and Illinois are now considering legislation that would prohibit public agencies from demanding social networking information. Texas Rangers catcher Mike Napoli and Los Angeles Angels pitcher C.J. Wilson played together on the Rangers last year before Wilson went to the Angels this season. When Napoli joked publicly about hitting some home runs off Wilson’s pitches, Wilson retaliated by tweeting Napoli’s cell phone number to his more than 116,000 followers. Obviously, Napoli wasn’t amused and didn’t think the prank was terribly funny. According to an article published March 20 in the Toronto Sun, Napoli said he’d wished Wilson would have simply called him if he was that upset about it. Furthermore, he added that he didn’t even know Wilson that well and thought the so-called prank was uncalled for. Wilson has since removed the tweet. Napoli said he won’t retaliate. The man behind one of the most viral videos of all time, director Jason Russell, was placed under psychiatric care after a supposed dehydration-caused naked public ranting incident in San Diego. Russell’s film urging the capture of a Ugandan warlord went viral very quickly, causing a massive amount of publicity followed by criticism. Meanwhile, Russell’s wife says the pressure got to him. Apparently, it’s nearly impossible to eat a spoonful of cinnamon. Who knew? Who even thought about? If you don’t believe me, search for “cinnamon challenge” on YouTube and you’ll find a bunch of quite funny videos of people trying to eat a spoonful of the spice. 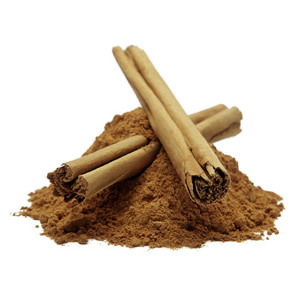 Perhaps it’s because cinnamon is very popular in North American food – especially baking – that people assume that it’s harmless. Apparently, though, the heat it produces in mass quantities in one’s mouth is right up there with fire. One of the most over-the-top videos is by stand-up comic GloZell (youtube.com/glozell1 and facebook.com/GloZellFanPage), whose reaction is quite simply priceless. From what I’ve seen, though, the challenge is to eat a spoonful of cinnamon. GloZell tries to eat about a half-cup of the stuff with disastrous results. She took on the challenge after several requests from her channel’s viewers. I’m not so sure even she knew what to expect. The subsequent reaction – including cinnamon blowing out her nose – is, well, hilarious. In fact, it’s been featured regularly as comedic filler on The Soup with Joel McHale. So far, her cinnamon challenge video has more than 11 million views. Each week, I suggest three YouTube channels for you to check out. Statistics are current to March 20. I’m one of those people who get all judgmental about those who get sick again because they stop taking their medication. If you stop taking your meds for whatever reason you’ll likely be back at square one before long and have to start all over again. Well, I should have listened to my own advice and ‘Tsk! Tsk!’ finger wagging. Last year, I went to physiotherapy to help cure or at least take the edge off some lower back pain that I’d been suffering with for 10 years. I just came to accept that it was part of life and something I had to live with. It was bearable . . . until it got worse. Thanks to a kinesiologist I talked to at the physiotherapy clinic I finally went to, though, he gave me an ‘A-ha!’ moment: ‘It’s not normal,’ he said. And I didn’t have to put up with it. As it worsened, it affected everything I did, whether it was going for groceries, standing up for long periods of time at business receptions, or even walking the dog. At some point, as you age, you start to wonder, ‘If I feel like this now, I can’t imagine how awful I’ll feel in 15 years.’ That’s why I dragged myself to physio in the first place. I’d finally had enough. It was worrying me and the pain was keeping me up at night. Perhaps it wasn’t excruciating, but it was bad enough to affect my sleep. After a few months of physio, the improvement was remarkable. The pain was nearly gone and I could walk further, slept better and the best part wasn’t hurting after standing up at business receptions. Standing still for several minutes usually triggered a spasm. I grew to dread receptions. In the business world, standup receptions are just a fact of life. You’re going to have to attend some. And it’s a real pain (pun intended) when you have to excuse yourself early from a conversation (and sometimes very awkwardly) because a muscle in your back is in the middle of committing suicide. I got sidetracked from doing the physio exercises late last summer. It was my own fault. I got distracted doing other things. Really, there was no excuse. To be perfectly blunt, taking a few days off ended up being a few weeks . . . and then a few months. Now, if you’ve ever had to do physio, especially for a long-term ailment or injury, my advice would obviously be to keep up your exercises. From what I’ve learned about physio exercises, they only take a few minutes per day and barely make you sweat. It’s all about stretching and moving in the hopes of getting back to normal. Certain exercises that may seem silly at first actually really work! I found that out myself. In the past several weeks, the pain has returned with a vengeance. It’s waking me up again. I can feel myself standing all twisted and contorted in order to stay comfortable. I sleep with a hot water bottle. Painkillers have become another food group. This past weekend, I attended The Moncton Home Show. I’m not a handyman, by any means, but I like to go to get new ideas about any future home renovations, additions, etc. I like to especially drool over the kitchens. My 49-year-old kitchen is in sorry need of updating. Whenever I open a cupboard door, I hear it say, ‘Kill me! I’m so tired.’ I didn’t get to enjoy much of the show, mind you, because I had to leave. My back was killing me! Ridiculous! I was embarrassed. I felt like I was 100 years old. Also, I was angry at myself for letting myself get like this again after having come so far before declaring myself cured and not really in need of physio anymore. Stupid man-ego! As I hobbled back to my vehicle, I got behind the steering wheel and sat there for a few minutes waiting for the muscle spasms to subside so I could drive, I promised myself that I would never let myself get like this again. Physio started again that night. The exercise instruction sheets that I’d been given by the physio clinic were still on my bedroom dresser, although they had somehow found themselves buried underneath a bunch of magazines over the past six months. When I got home, I took them out to refresh my memory. I just accepted that I’d have to start from scratch. The exercises that had come so easily to me after a few months of doing them the first time around were now difficult again. Where there was no pain before (after a few months, that is), it was back. I could feel the stretching. And it felt good, I must say. One of the exercises, so simple that it’s a joke, is better than getting a shot of morphine, I’m sure. The sense of relief afterwards is always noticeable. But now, it’s back to square one. I’m not impressed with myself. All that progress: gone! All that relief: gone! All that work: wasted! All that time and money I invested in the clinic: wasted! I’d spank myself if I could reach. But then again, I’d probably tear another muscle doing it and end up in worse pain than I’m in now. I don’t plan on retiring for a long time, but at some point you have to wonder about your quality of life when you get there. By not taking care of yourself today, it may not be terribly pretty once you get there. Sure, we can’t prevent everything, but we at least owe it to ourselves to give ourselves a fighting chance. Mac’s convenience stores, which number more than 2,000 in Canada and more than 3,300 in the U.S., are fighting back against crime by posting store surveillance video footage of robberies and other in-store crimes on Facebook and Twitter. 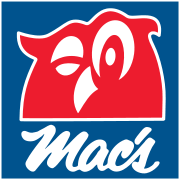 The stores operate under the Couche-Tard and Mac’s brands in Canada and as Circle K stores in the U.S. According to a CBC Thunder Bay report published March 13, the chain now posts surveillance videos of crimes committed in its Thunder Bay stores to a corporate Facebook crime-fighting page (facebook.com/MacsCrimeBusters) and also promotes them through Twitter at @MacsCrimeBusters What a great idea! Asking Facebook and Twitter users to help catch criminals is a smart move. Many people eagerly share these videos through their accounts. And if there’s one thing everyone should know about social media, it’s this: ‘You can run, but you can’t hide!’ Someone is definitely going to recognize these criminals and report them. If Thunder Bay residents are anything like Moncton’s Newschaser group on Facebook, these crooks don’t stand a chance! 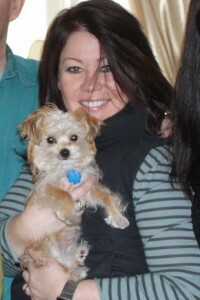 Canadian singing star Jann Arden, known for being very active (and very amusing) on Twitter, took to the social media outlet several days ago to voice her displeasure at being kicked off a Via Rail train because workers discovered that she’d brought her dog on board. Pet lovers were probably quite sympathetic to her plight, but I doubt the people of Oshawa were terribly impressed. Why? Well, when Arden was asked to leave the train, they let her off in Oshawa, which Arden went on to describe as ‘in the middle of nowhere.’ Oshawa has a population of more than 150,000 and a census metropolitan area of more than 330,000, so it’s not exactly a one-horse town, so to speak. Arden was on her way to Ottawa for a performance when she was dropped off ‘in the middle of nowhere.’ Probably not a good time to plan any concerts for Oshawa, I’d say. Regardless, Arden is usually highly entertaining on Twitter and is responsive if you get her attention. Her tweets are usually fun to read – unless you live in Oshawa. In the world of Canadian celebrities, she’s well worth following. If you ever get a direct message from someone you follow on Twitter (and who follows you, as well) that says something along the lines that they can’t believe the photo they found of you online (or a version of that kind of message), it is a hoax. Do not click on the link or your account will be hacked. If you find yourself hacked like this, delete the direct message containing the link you clicked on (which is part of the direct message) and then change your Twitter password right away. That should then stop the annoying virus from automatically replicating itself among your friends. This is a very common virus because it usually comes from someone you know personally (who’s been hacked) and sounds ‘urgent.’ Beware, though! It’s a nasty trick and can lead to embarrassment.